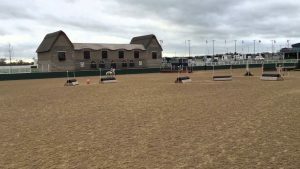 What, Where, and When is Super Pink Arena Eventing 2019? 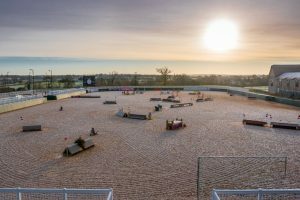 Organised by LandS Eventing Ltd, Dallas Burston Polo Club will host the Super Pink Arena Eventing 2019 this Saturday, 20th April. The idea behind the fun event is for competitors to try something new, and to raise some money for a very worthy cause – cancer research. With the hashtag #kickingcancersbutt the whole day has been set up to support the research and treatment surrounding the deadly disease, with a dress code dictating ‘wear as much pink as possible’ making the cause all the more visible. Available classes are pairs, 70 cm, 80 cm and 90 cm, with entries now closed and competitors getting themselves ready for the big day. Pairs will compete first. With the Super Pink event taking place on Easter Saturday, the Club’s olde English style pub, The Millstone Hare, will be open all day from 12 pm, serving up delicious springtime fare for both members and the public. The stunning thatched bar and lounge is located next to, and over looking the Super Arena – There really is no better place to be in order to enjoy this event! The Millstone Hare offer a range of dishes and tempting tipples to accompany your day at the event, to quench your hunger and thirst following the undoubtedly fabulous day of competition, Call 01926 830255 or email millstonehare@ixlevents.com. The opening section involves one to six portable cross country jumps. Pairs can jump the height of their choice; individual classes jump the height class that they are in. Note: this is not the speed section. Next up is the speed section, where fastest time wins! 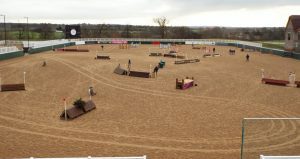 Riders will first be met with four show jumps, with three height options for pairs. It’ll be twisty like a jump off. Following this is the country phase; a knock down x country type obstacles, again with three height options for pairs. Last up is through the finish, which pretty much speaks for itself! The course will also be available to walk from 15:00 on Friday (19th April), and there will be additional opportunities to walk the courses throughout the day. These timings will be shown when the times are published, after 18:00 on Friday. Founded by Lloyd Hunt, who has been involved with horses and eventing since the early 1980s, LandS Eventing aims to deliver high-quality to the Warwickshire area, in which Dallas Burston proudly sits. Dallas Burston have been working with the company for a number of years on joint events, and earlier this year LandS Eventing organised the Super Arena Cross Country event at Dallas Burston, in the all-weather SuperArena. Along with their jump hire service, the company has now moved into the production of high quality cross country and show jumps. 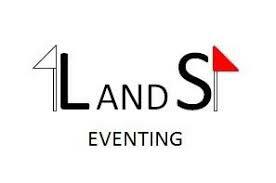 They offer a full design and construction service for handcrafted bespoke portable cross country jumps, and handcrafted bespoke show jumps with personalised wing design available.